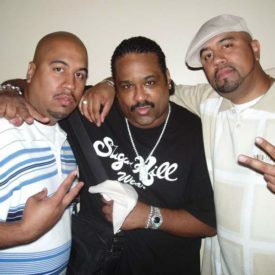 The Sugarhill Gang is an American Rap music group, known mostly for its 1979 hit “Rapper’s Delight,” the first rap single to become a Top 40 hit. The song uses an interpolation of the instrumental track from the hit “Good Times” by Chic as its foundation. The members, all from Englewood, New Jersey consisted of Michael “Wonder Mike” Wright, Henry “Big Bank Hank” Jackson, and Guy “Master Gee” O’Brien. The three were assembled into a group by producer Sylvia Robinson, who founded Sugar Hill Records with her husband, record mogul Joe Robinson. The group and the record company are named after the Sugar Hill, Manhattan neighborhood. The Sugarhill Gang had a slew of European hits, such as “Apache”, “Eighth Wonder” (which was performed on the American music show Soul Train in 1981), “Rapper’s Reprise (Jam Jam)”, and “Showdown” (with the Furious Five). In 1999, the trio reunited and recorded Jump on It! a hip hop children’s album. 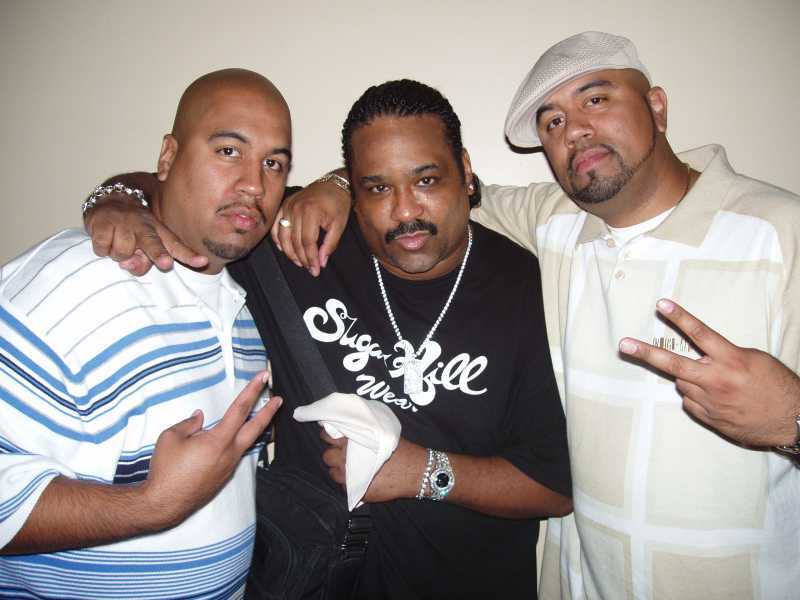 In recent years, original members of the Sugarhill Gang have performed as the Original Sugar and as Rapper’s Delight Featuring Wonder Mike and Master Gee.